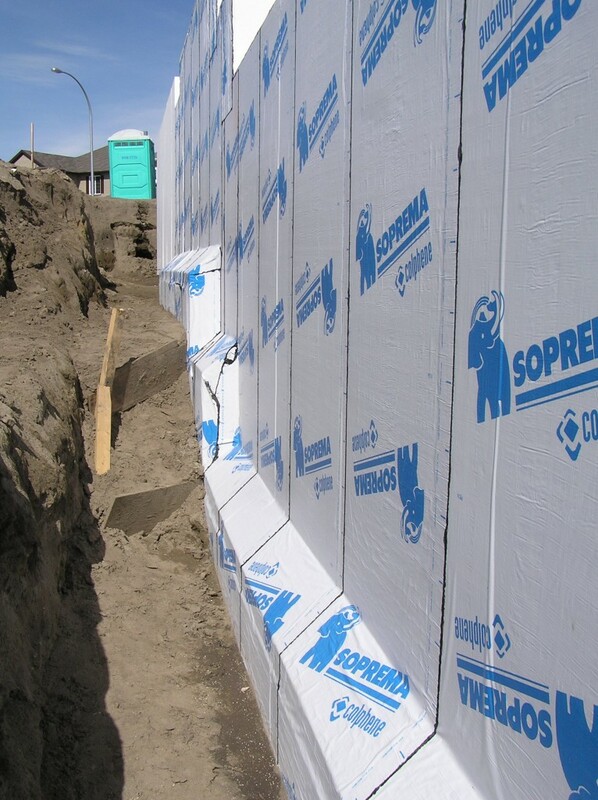 With the foundation insulation installed, the exterior surfaces need to be protected. 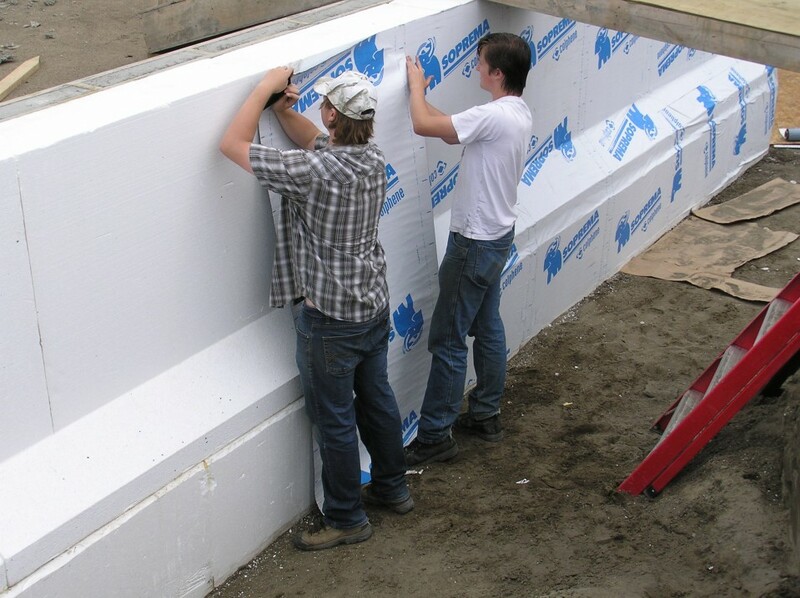 A self-adhered membrane product is affixed to the insulation to create a water-tight seal and protect the EPS from physical damage and also deterioration from ultraviolet radiation over time. 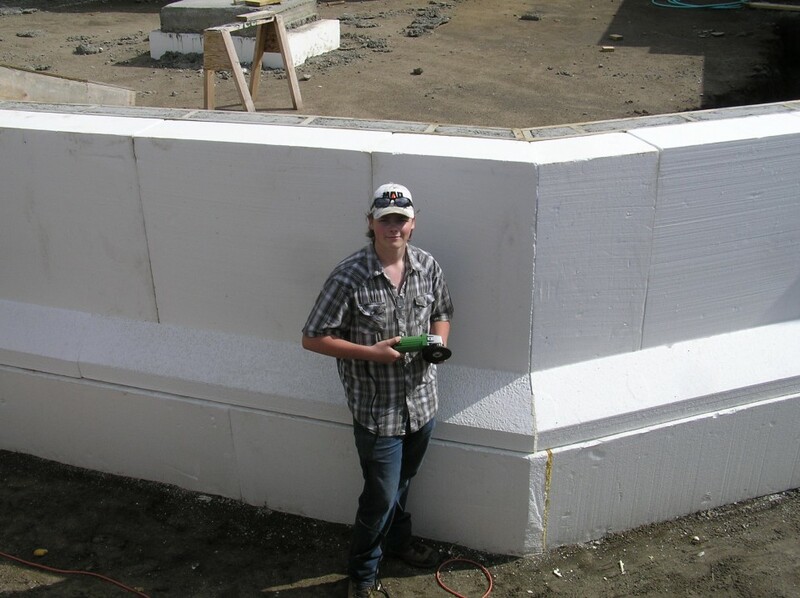 This is Colton Lee, one of the two helpers doing the EPS and waterproofing installation. And this is Tyrell Lee, brandishing a hand grinder. This is Emilie Zeibin. 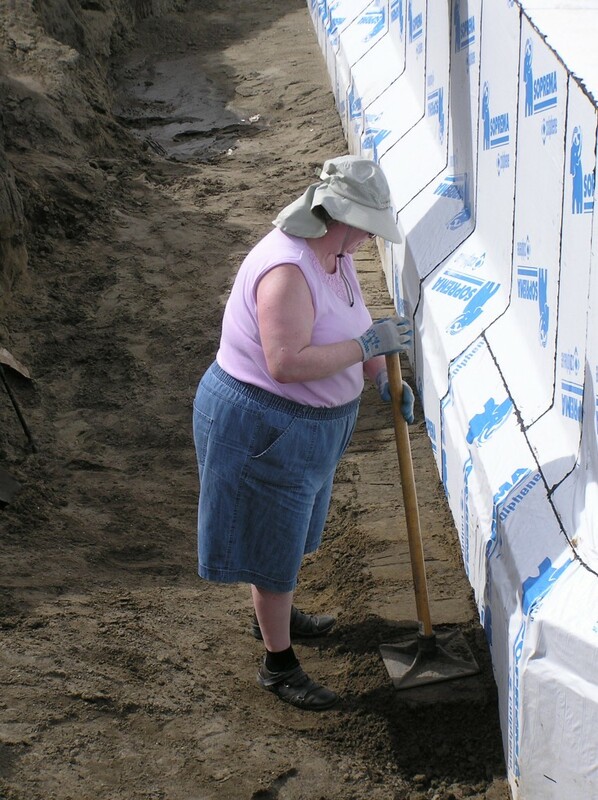 She’s one half of the home owners, and is also taking photos of the construction progress for these posts. And this is Jim Zeibin, the other half of the home owners. 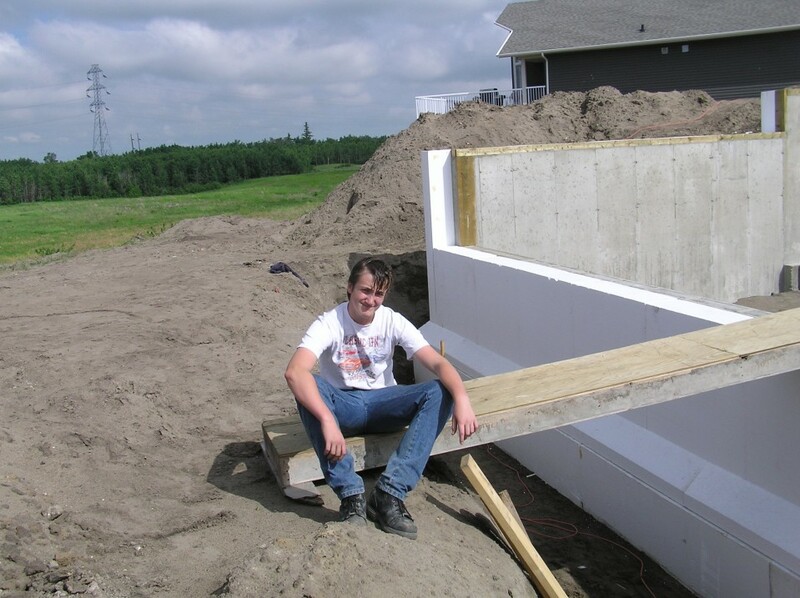 Jim is managing the construction, is doing a fair amount of the work himself, and is also taking a lot of photos! 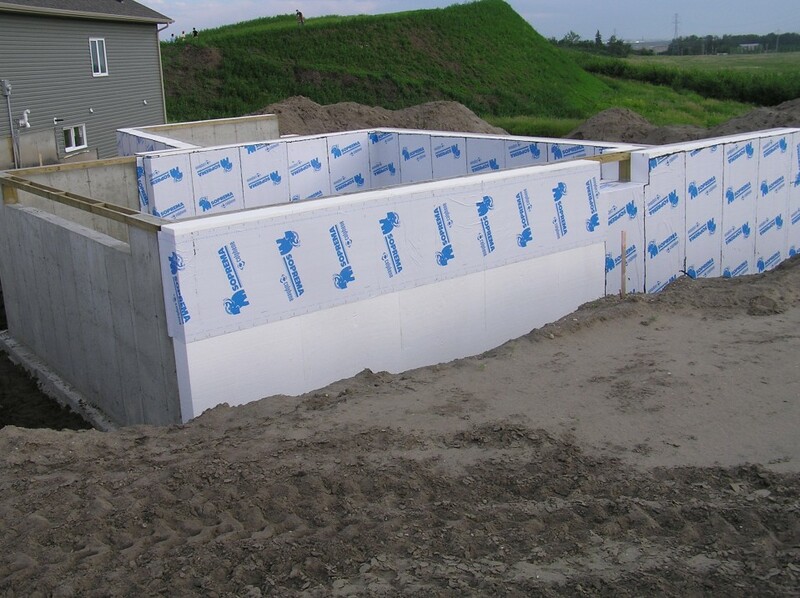 Completed waterproofing on the northwest wall. 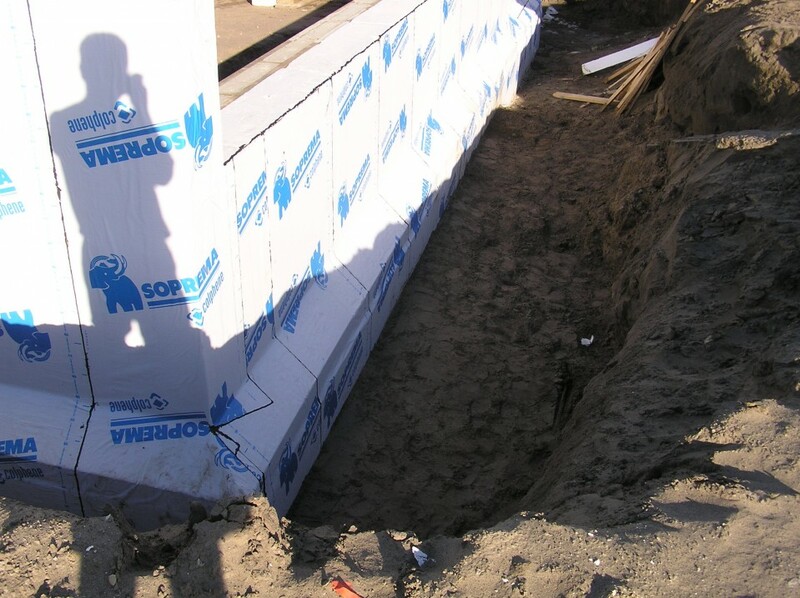 A view of the rear frost wall waterproofing. 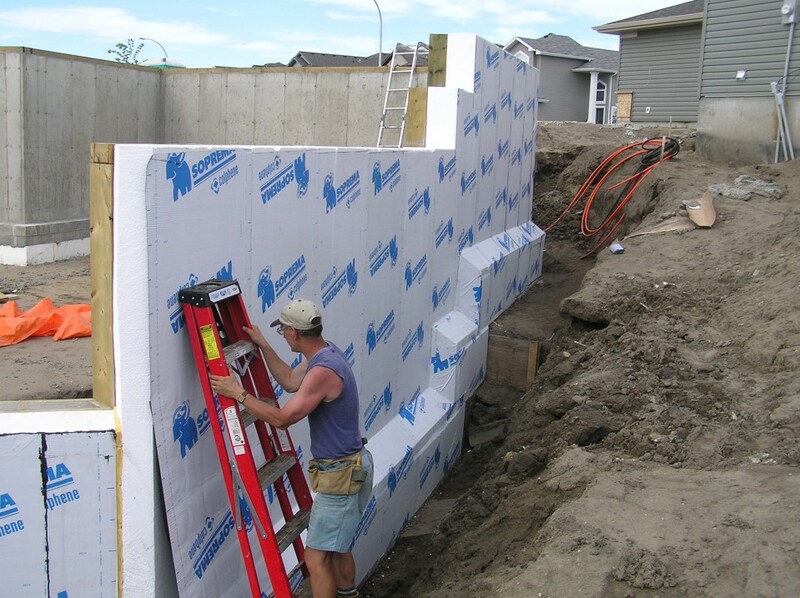 And another view of the northwest wall. 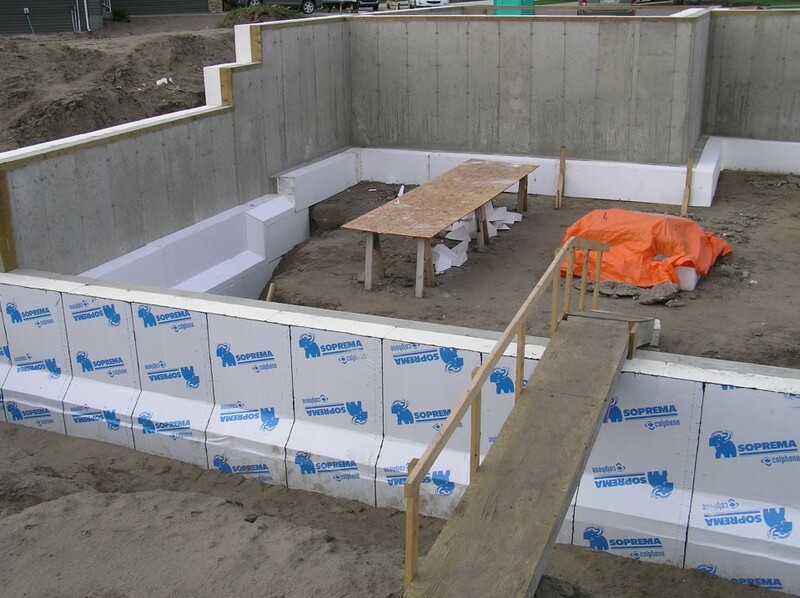 These final three images show the completed waterproofing and some of the interior insulation. 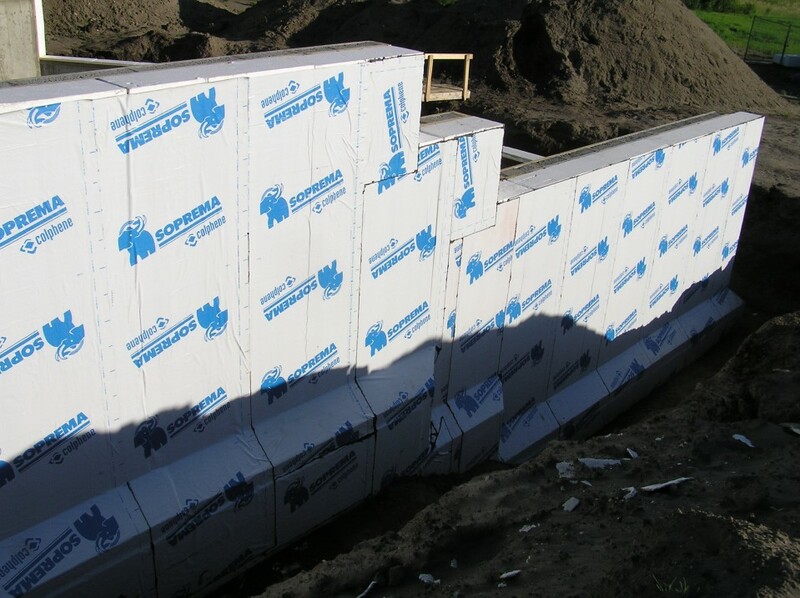 We’re off to a good start on making a tight thermal envelope! 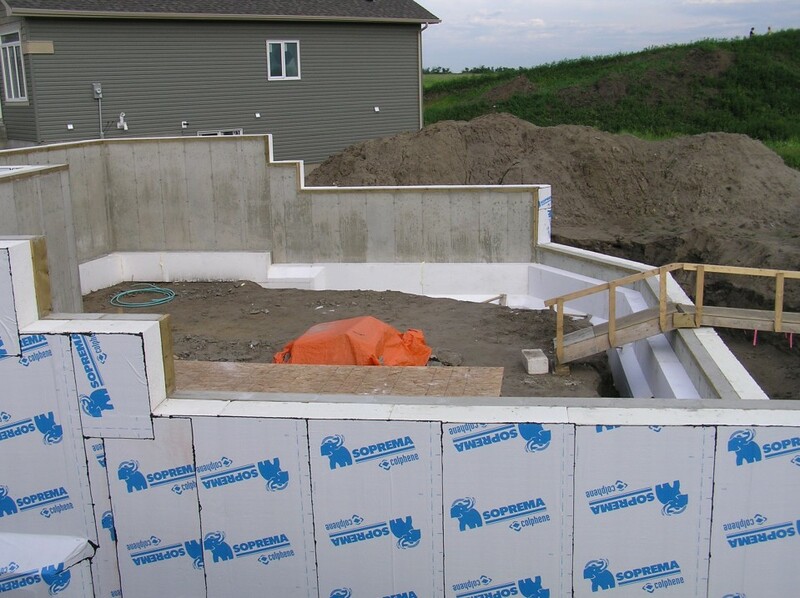 Mesh reinforced, polymer stucco, makes for a quality lifetime alternative water proof coating. It also is fire resistant.